Afkos Industries was established in Western Australia in January 1980 to service the Mining, Mineral Exploration, Oil and Gas, Shipping, Agriculture and Transport Industries in Australia. 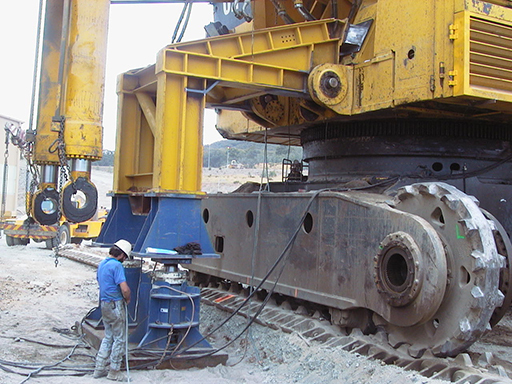 We specialise in providing hydraulic engineering solutions for businesses in the mining and oil & gas industries. Our projects outline what Afkos Industries can do for you. Manufacturing and Service Facilities from Small to Large Cylinders servicing the mining industry. In-house Service expertise in designing and manufacturing of hydraulically engineered components servicing the Mining, Mineral Exploration, Oil and Gas, Transport, Shipping and Agriculture Industries. The process of chrome plating protects any metal parts which are subject to wear and tear. Chroming provides resistance to abrasion, corrosion, heat, chemicals and all forms of wear. Afkos Industries’ Hydraulic Cylinders are of the threaded cylinder head and variable rod end and end cap design, allowing for a number of different mounting styles from clevis to spherical bearing mount.